As the Google Fans that we are, we are excited to let you know that we had the chance to assist to not one, but two Google Next 17’ events! This past March we assisted to the San Francisco Conference & this May we went to the one in Tel Aviv! Two places completely different and distant but with one thing in common: the deep desire for innovation and the thrive to keep moving forward! We were surprised with several announcements, and if you missed them, I strongly recommend you to check the Google Cloud YouTube channel, for a quick recap! Everyone, regardless of their industry, will benefit from the advancements of AI, we could see that when we had the opportunity to meet enterprises from really diverse fields, Like Lush & Palmolive to Amazon & Salesforce. Dr. Fei-Fei Li the Chief Scientist of Google Cloud AI and Machine Learning said that “AI is about to change the way we live and work”. Why? Because this AI democratization will effectively make AI tools easier to use, and place the power of machine learning and other technologies into the hands of those without an academic degree! AI & Machine Learning aren’t new; in applications like self-driving cars like Tesla, personal AI systems like your phone Google Assistant, Siri and Cortana. What is a novelty, is how much easier will be to access them and tailor their effectiveness to our needs. In other words, AI will be available to everyone, through the cloud, not just to use, but to implement. Dr. Li. added that “We stand to witness a greater improvement in quality of life than any other time in history.” And this is because machine learning isn’t there to replace us, but to understand us better in order to help us work faster! 2- Getting in the Cloud is… “The new black”! Big data is the term we use to describe the large volume of data that floods a business on a daily basis. But how organizations deal with this data, is what matters. If analyzed properly, this will lead to better decisions and strategic business moves. 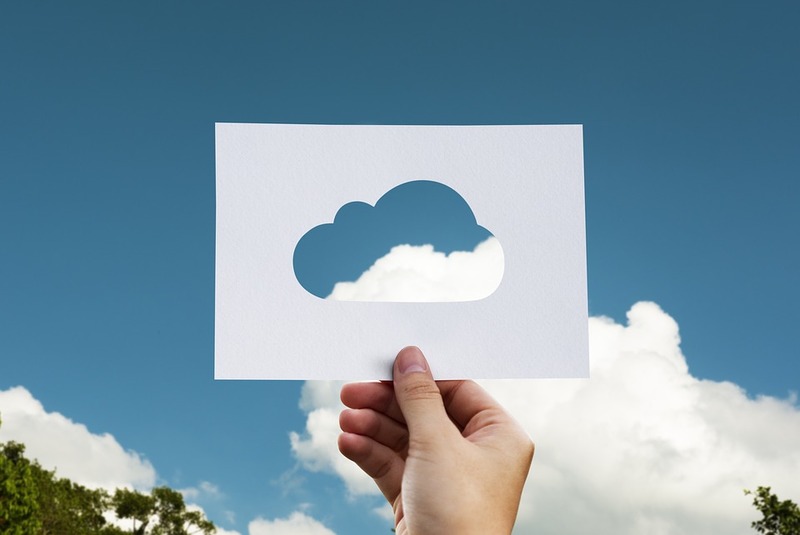 Google believes that to leverage technology in the cloud to get more out of your data, is a huge opportunity! 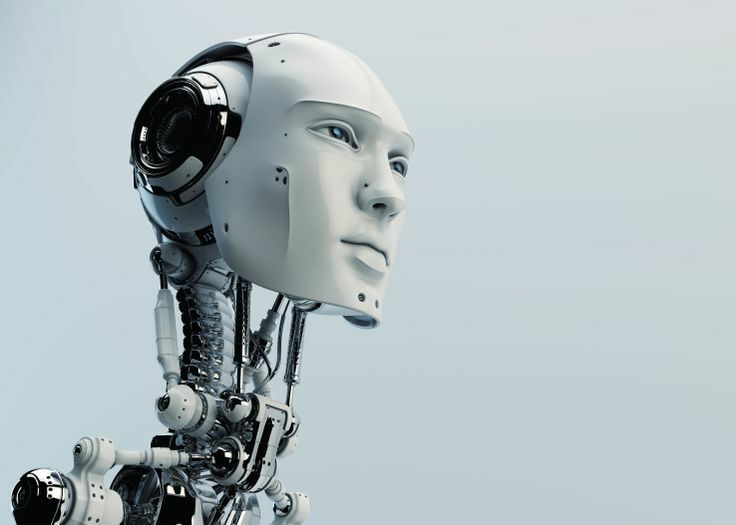 Google has applied AI, machine learning, and other technologies to data into the cloud. This way organizations will be able to draw valuable insights from their data! Getting on the cloud means to move your business conducts into storing and accessing data and programs over the Internet instead of your computer's hard drive, this not only will help you to sync and work on documents or shared apps with ease in real time, but it will centralize your data and help you analyze it better! Alphabet Executive Chairman Eric Schmidt couldn’t have said it better: “Get on the cloud…now”! So stop using your old computer programs to work and join this evolution. 3- Jamboard: Our favorite new toy! Whiteboards are a great way to and mind-map and collaborate in order to solve any problem. But when it comes to digitizing, sharing, and integrating the result the whiteboard remains an analog old school tool. Most of us just take a picture of the results and move on. 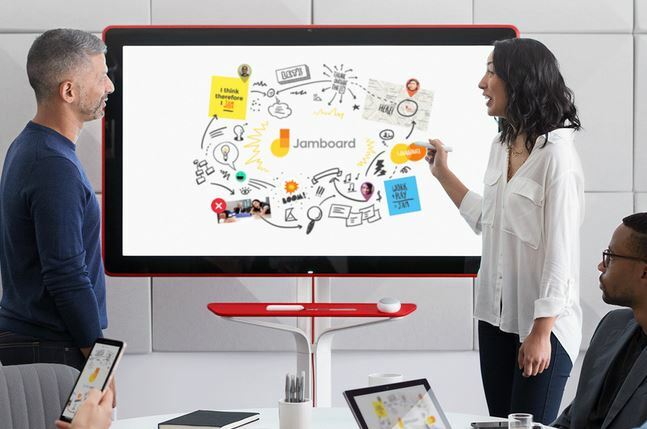 However the introduction of Google Jamboard will take Real-time meetings into a whole new level! Google Jamboard is a digital whiteboard that merges the worlds of physical and digital creativity. 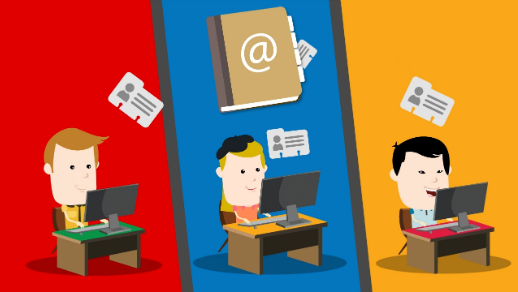 It’s real time collaboration on a brilliant scale that can be done all in the cloud! This enterprise “cloud-connected” whiteboard, might become the center of all meetings. This is due not only the ability to draw & share in real time all the insights of that meeting, but to improve any diagram, and integrate other types of media as well! Additionally to than any “jam” session” can get immediately uploaded to your drive, so you can save anything that was illustrated and access it again anytime and anywhere!